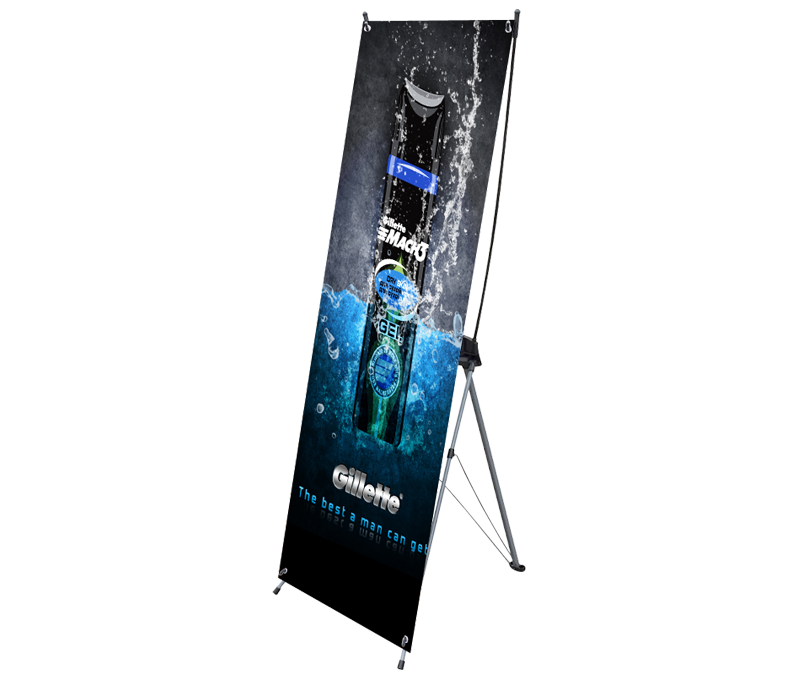 X frame banner stands are durable, lightweight and cost-effective tools for indoor banner display! 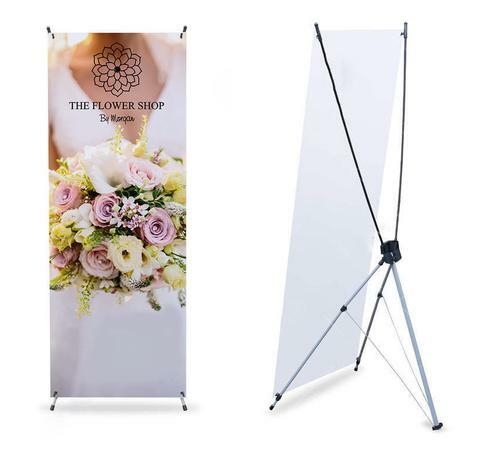 These stands are reusable, and are great for when you need to be able to quickly change banner graphics; just attach a grommeted banner to the corner screws, and it will be held taut by its flexible arms. 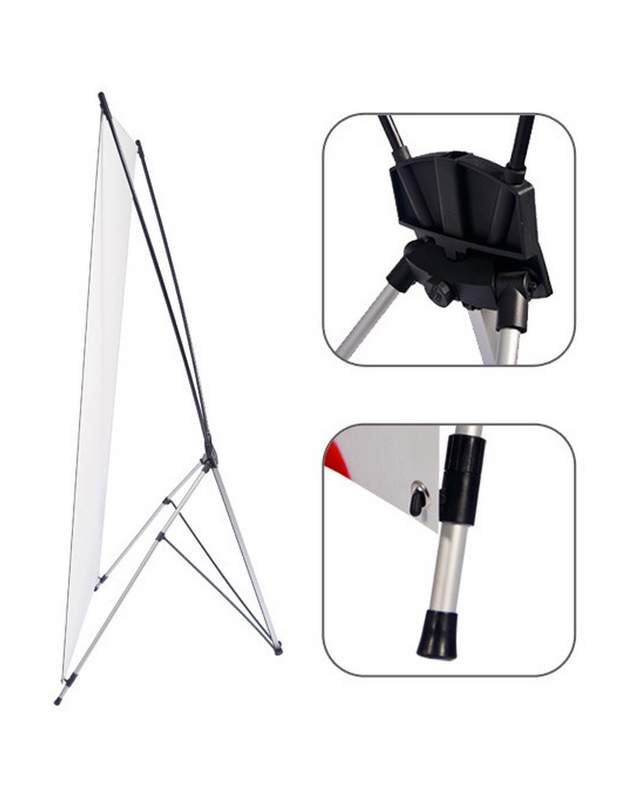 Their sturdy tripod base makes it extremely easy to set-up – no special hardware needed! These also come with a soft carrying case for easy transport.